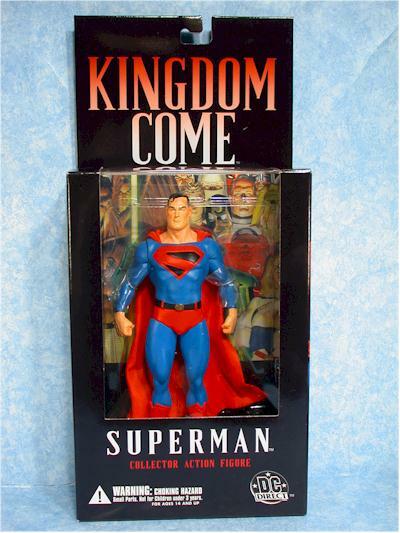 Kingdom Come was an excellent series of DC books written by Mark Waid and illustrated by Alex Ross. The story itself is fairly simple - in the future, the new, young superheroes are more violent, more brutal, and more fascist. Humans have tired of the their control, and the old school of superheroes decides to do something about it, although bringing them together in any unified way is difficult. The books were loved by comic fans, panned by mainstream critics. The characterizations were excellent though, and fans of the comics have been looking forward to the new action figure series from DC Direct with great anticipation. The wait is finally over, as comic shops received these from Diamond this week. Most shops should have them for around $15, although if you're lucky your local CBG might cut you a deal. The first series includes Hawkman, Superman, Green Lantern and Wonder Woman, and more series are already planned. Series 2 will include Batman, Shazam, Red Robin and Kid Flash. And series 3 has been announced as Deadman, Flash, Magog and an armored Wonder Woman. There's also a Toyfare exclusive Red Arrow currently available for pre-order. Price is $16.95, plus five bucks for shipping. I love the look of these packages. Using a simple exterior design, with an interior design that comes straight from the comics, they've produced some really attractive boxes. Two things hold them back from perfect scores though. First, they are very easily damaged. I didn't see a single Hawkman - the largest box - that didn't have a damaged window. The second is that they aren't collector friendly, at least not as much as they could or should have been. The back of the Hawkman tray looked like the back of my stereo receiver, with wires going everywhere. Considering these are aimed specifically at collectors (it even says so right on the front of the box! ), they should have considered producing these in boxes that were likely to hold up, and could be opened and repackaged later. Easily the strongest aspect of this series is the sculpt. All four figures look excellent, at least in terms of matching the characters in the source material. 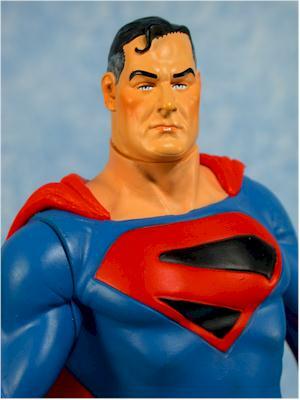 Some folks may not like an old Superman, or a Wonder Woman with thighs that could crack walnuts, but these sculpts are accurate to the Alex Ross art. There's also lots and lots of detail, but not so much as to lose the flavor of Ross' designs. They've managed to produce figures that look like they walked right off the page. I also love the poses they selected. With little to no lower body articulation, getting just the right pose was crucial, and they succeeded, particularly with Wonder Woman. 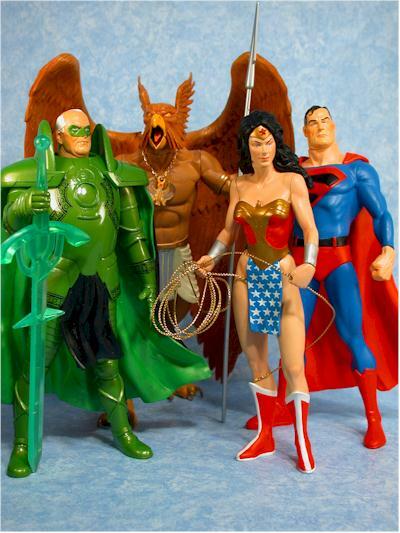 Hawkman's pose takes a little getting used to, but it grows on you. I suspect lots of people will be disappointed by the next two categories. As beautiful as the sculpts are, the paint application doesn't live up to expectations. You should also notice a big variance between my four figures. This is a red flag, since it means that the most of the issues I see with one figure could easily show up on a different one. I may have gotten lucky on my Superman, or unlucky with my Wonder Woman for example, but the overall quality issues with the paint ops are obvious. 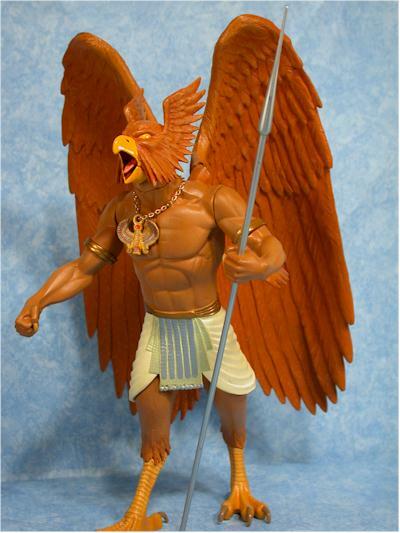 In my case, my Hawkman looks great, with little slop, no gloppy areas, consistency across a color, and clean lines between colors. There's just the right amount of wash on the feet and feathers to show off the excellent detail of the sculpt without being overbearing, and the overall appearance is excellent. Superman and Wonder Woman don't fair quite as well. Both have issues with the lines between colors, with overspray or sloppy edges. 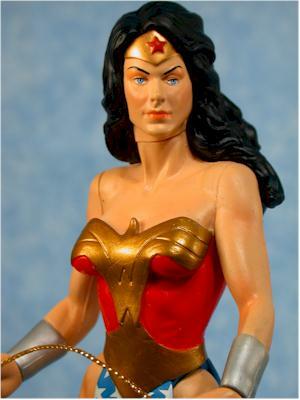 Wonder Woman has spots of other colors on her flesh tones, and obvious mold marks on her hips. Her face paint detail is extremely good, and the colors are nice and bright, but the errors were disappointing. The big loser here though is Green Lantern. It's too bad, because his sculpt, pose and accessories are great. But for some reason they decided to go with decals for his armor detailing. I have no idea what they were thinking, since the decals don't line up well, they don't lay flat, and they are sure to fall off in a matter of weeks, if not sooner. The edges on several of mine aren't even stuck down well now, and this shortcut was the biggest flaw in the entire series. You can't do much to avoid the sticker issue, but with the other problems you can do your best in the store to pick the figures that look like they have the least number of problems. While it appears that the figures have decent articulation, there are two issues that end up causing some issues. 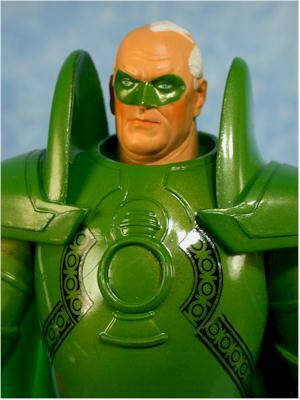 First, many of the points of articulation are restricted, like GL's shoulders or Wonder Woman's neck. I can live with that, but it does reduce the usefulness of the claimed point of articulation. The bigger overall issue here is the joints themselves. They all seem to be made with soft plastic pins, and gapping is pretty evident. Now, you might be able to futz around with the joint a bit and get the gaps to lessen - I managed to do that with my Superman - but you're going to see a lot of people complaining about the issue. 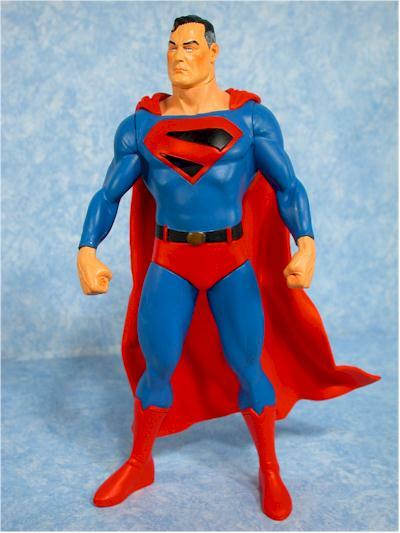 Superman and WW have seven points - neck, shoulders, wrists and hips. The wrists are a nice touch, but the hips are really just there to be sure you can get them in just the right sweet spot to stay standing. Both do have such a spot though, and can stand fine on their own. GL has five points - neck, shoulders and wrists. He gets the lowest score because a) the least amount of articulation and b) the shoulders are limited anyway. 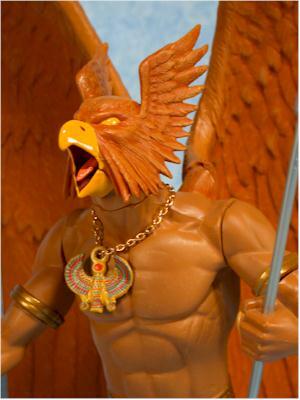 Hawkman also has seven points, like WW and Supes, but they are different points - neck, shoulders, bicep, and wings. The wings move inward and outward nicely, although if you bring them all the way forward he has a severe toppling tendency. Posing really is pretty limited across the whole set, and how you see them in the box is how you'll see them on your shelf. They all stand fine on their own though. Supes didn't get the added advantage of an accessory, and I have no idea why. Hey, they gave WW a silly stand, I'm sure they could have given us SOMETHING for Supes. As I said, Wonder Woman has a base, which is pretty much unnecessary since she stands fine on he own. The stand also throws the scale between the figures off if they are displayed together. 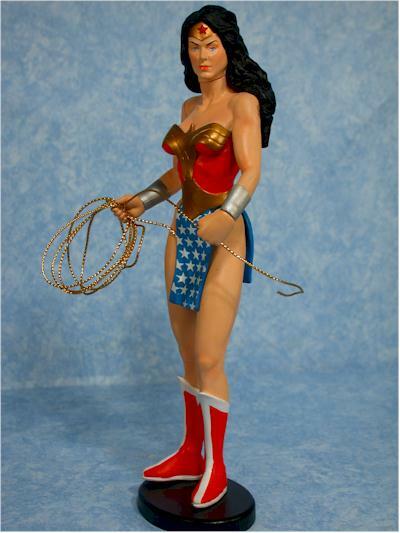 She also has her lasso, which looks removable from her right hand, but is likely to be tough to get back in just right. It looks great out of the package though, and I'd suggest leaving it be. Hawkman has his spear, which fits quite nicely in his left hand, and also makes it possible to keep him standing with his wings pulled all the way in. He can lean on it and avoid toppling to the left. His medallion could also be considered as an accessory I suppose, but it's not removable. 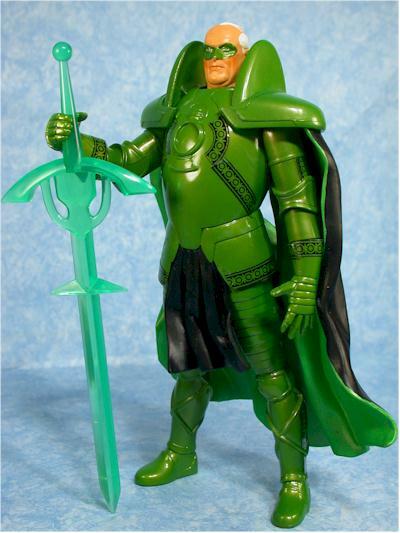 Green Lantern has the best accessory of the bunch, with his nifty sword. It looks great in his hands, and the translucent green color works perfectly. You're getting some great sculpts, but at $15 each they are at least three bucks too much. Add in the issues with the paint, and the gapping in the joints, and you really shouldn't be paying this kind of price. This is a collector specific line, based on a comic known for it's exceptional artwork and designs. The expectations for this line are therefore far above the norm. I don't think that they could have done any more with the sculpts or designs, but the paint flaws are sure to draw serious complaints, particularly the stickers on Green Lantern. Let's hope they have these issues worked out by the second series. - Amazon.com has the figures individually for $15 each.